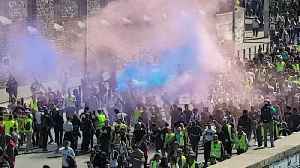 Paris was in lockdown on Saturday morning as it braced for a fourth round of rioting by yellow vest protesters in the capital demonstrating over fuel tax increases and living costs. 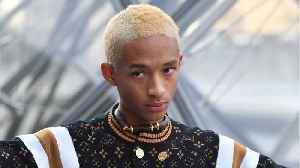 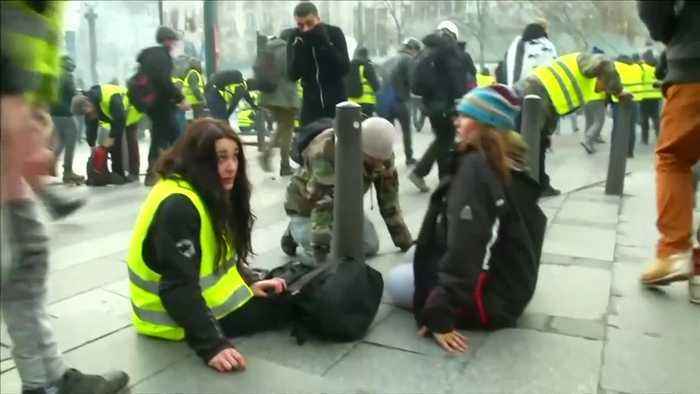 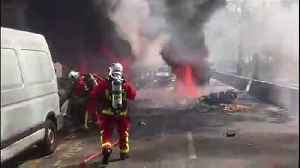 Paris was in lockdown on Saturday (December 8) morning as it braced for a fourth round of rioting by yellow vest protesters in the capital in protest over fuel tax increases and living costs. 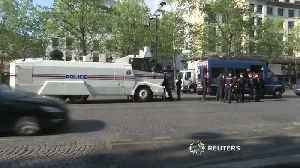 89,000 police officers were deployed across France and 8,000 in Paris, to avoid a repeat of last Saturday's violence which were the most violent confrontations that France has seen in decades. 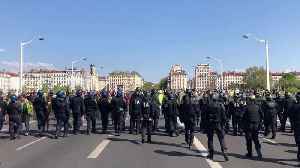 12 armoured police vehicles have been stationed in strategic points across the city and police are taking a tough stance on protesters, having already stopped 177 people and arrested 32 on Saturday morning. 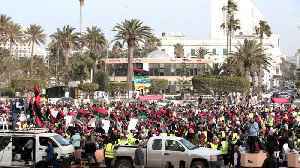 Protests began peacefully on Saturday as people set up road blocks and gathered on roundabouts. 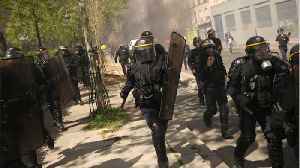 But soon after, tear gas cannisters were fired and the first clashes between protesters and riot police began. 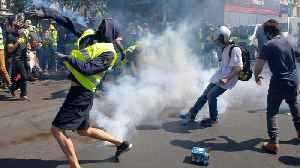 President Emmanuel Macron, whose popularity is at a low ebb according to polls, has been forced into making the first major U-turn of his presidency by abandoning the proposed fuel tax. 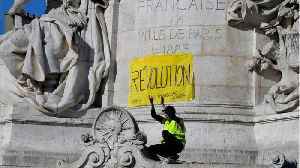 Despite the climbdown, the "yellow vests" continue to demand more concessions from the government, including lower taxes, a higher minimum wage, lower energy costs, better retirement benefits and even Macron's resignation.